I´m actually a bit tired today...Yesterday started with a jewellery launch party (photos soon) followed by a housewarming party in our friends new house. 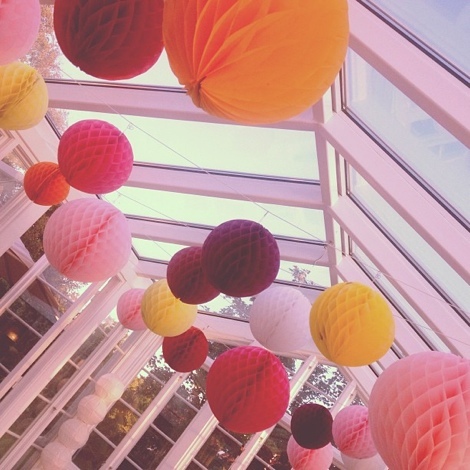 They had done such an amazing job and beautifully decorated their glass veranda with these pom-poms creating that extra party feeling. There are many DIY guide for pom-poms on the Internet, as well as online stores to buy ready made if you fancy this lovely idea. I hear you my friend! We had 3 nights out at parties in a row and I've had to take a couple days just to recover. So many fun and exciting events but taking a little time for recovery is always a must.